Hennessy has a new cocktail to share with you. 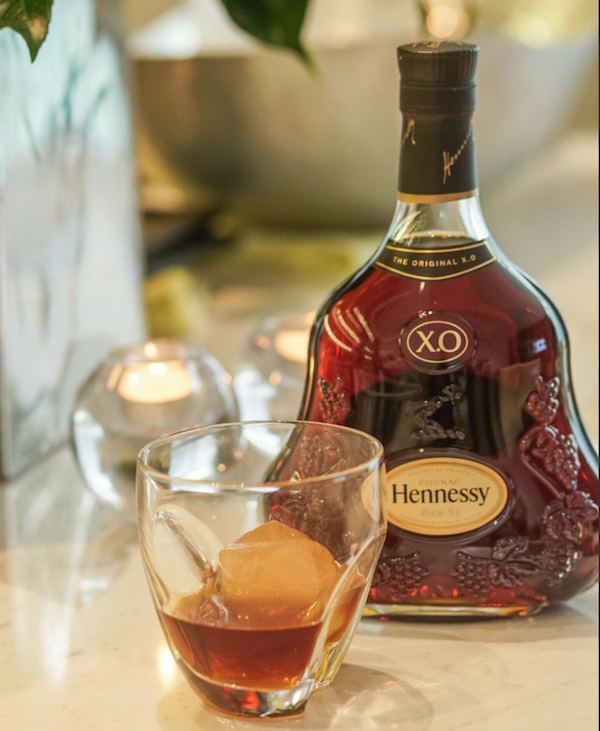 Check out this Hennessy X.O recipe that celebrates the encounter of two cultures – “East Meets West” – to usher in good fortune for the year ahead. For the Hennessy X.O Green Tea Rock recipe, traditional Chinese tea meets the modernity of ice in Western mixology for an unexpected way to enjoy Hennessy X.O as part of Lunar New Year celebrations. When served over the tea-infused cube, the subtle flavors of Hennessy X,O are released for a multi-faceted, sensorial taste experience. Boil the water and infuse it with green tea for two minutes. Add sugar syrup and stir. Pour into a deep ice cube mold and freeze. Chill a glass in the freezer for five minutes. Once chilled, add three green tea ice cubes and pour Hennessy X.O over them. Stir to ensure the drink is cool throughout. Have You Tried A Hennessy Mint Julep? Print article This entry was posted by Art Eddy III on February 16, 2018 at 10:43 am, and is filed under Lifestyle. Follow any responses to this post through RSS 2.0. Both comments and pings are currently closed.